The Ocean Princess prides itself on peaceful settings and privacy. Surrounded by 2 1/2 acres of natural oak shrubs, pines and beautiful ocean views. Each of our 9 rooms has color TV, microwave, coffeemaker, refrigerator, telephone(local calls free), private entrances, patios, and full southern breakfast. All with private bathrooms some with Jacuzzi's, and 1 handicap room. Guest den with fireplace, central heat and air, ceiling fans, and a fabulous pool only 400 feet from the ocean. The Inn has won the 1999 3 Diamonds Award of excellence. 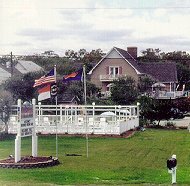 The bed and breakfast is located 20 miles south of Wilmington NC at Kure Beach. There are bike paths, hiking trails, golfing, para sailing, jet skiing, ferry rides to Historic Southport and Bald Head Island, Carolina Beach State Park, Civil War museum, aquarium, and a boardwalk with shops and restaurants. We're an adult Bed & Breakfast, no smoking, no pets. In season rates (April 1 to September 30) $99 to $159, Stay 3 nights and get the 4th night free. 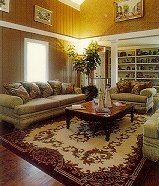 Call 800-762-4863 for off season and weekly rates. We can also accommodate conferences, wedding receptions and retreats. This and other Kure Beach Bed and Breakfast Inns can be found here in The Register.